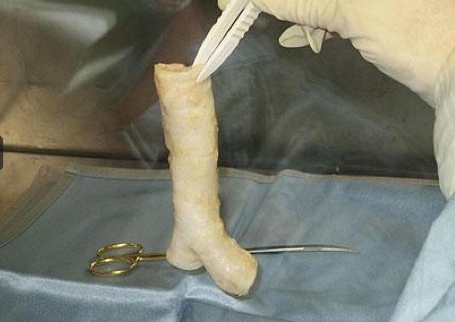 This was not the first trachea transplant of its kind. In 2008, Macchiarini successfully performed a trachea transplant using adult stem cells on a woman who suffered from tuberculosis. A similar operation was conducted on a British boy in March but in that case the windpipe tissues were grown inside the body without any bioreactors. For this latest trachea transplant, stem cells were used to grow a new trachea outside the body. I believe it is crucial that there are more and more transplants of bioengineered organs. And this one is special – it is a cancer patient, yet the brilliant team led by Dr. Macchiarini was able to save the girl with the cutting edge regenerative medicine technology. This kind of technology already prolongs lives and has a great potential for life extension for people suffering from other diseases. We need more of this and faster! Good post. I learn something new and challenging on blogs I stumbleupon every day. It’s always helpful to read articles from other authors and practice something from other web sites. Amazing! Itís as if you recognize my mind! A person appear to know therefore much relating to this, as if you wrote it in it or something. We believe which you could do with some images they are driving this content house a bit, besides that, this really is informative weblog publish. A excellent read. I will certainly return. fantastic issues altogether, you just won a new reader. What would you suggest about your put up that you made some days in the past? Any positive?